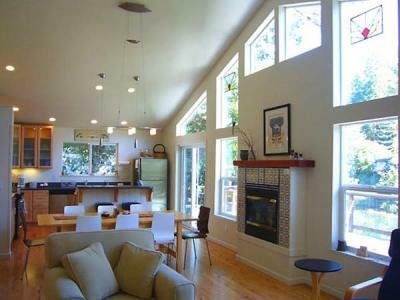 Riverside Lodge is a modern riverfront home with lofted ceilings and an open floor plan. 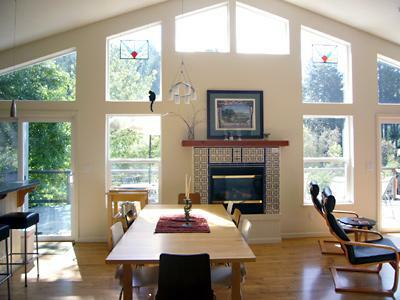 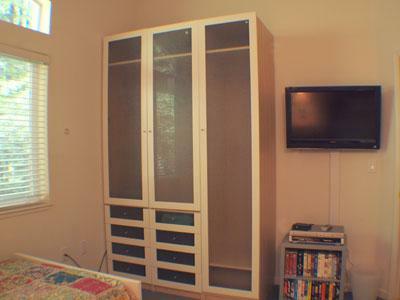 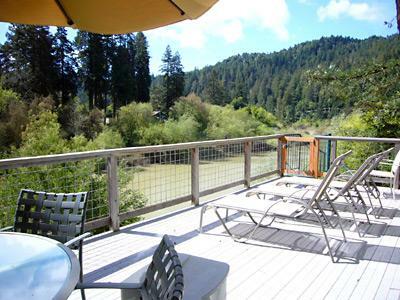 This home is one of the most desirable vacation rentals on the Russian River. 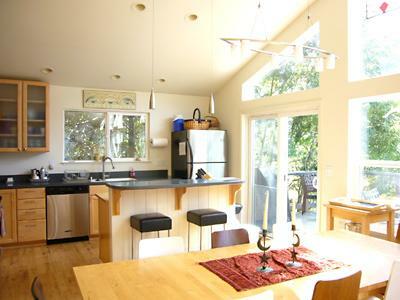 The spacious living-dining-kitchen area features a gas fireplace, a dining table for 8 people, and a full amenity kitchen with Corian countertops and modern appliances. 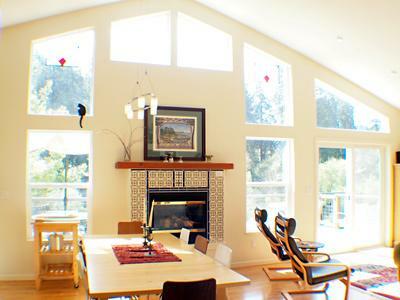 A wall of glass showcases fabulous views of the Russian River; sliding glass doors open to a large riverfront deck. 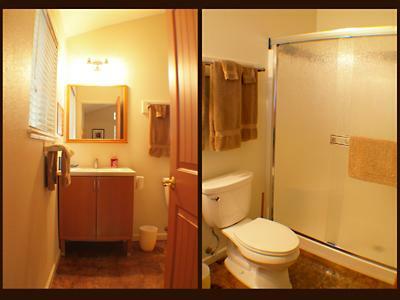 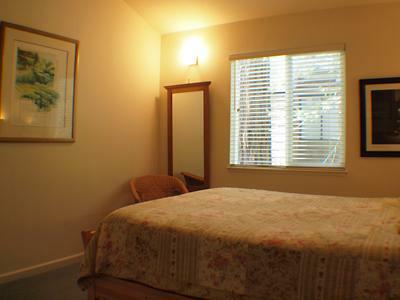 This one level home is located on the upper level. 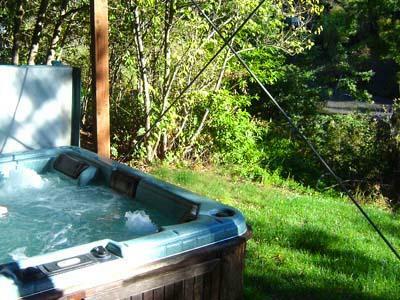 On the lower patio, the large spa is stationed. 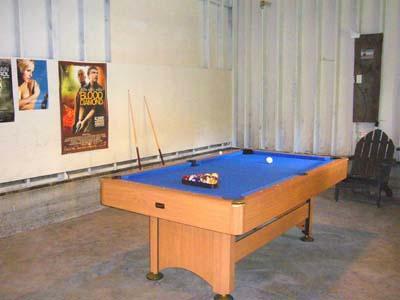 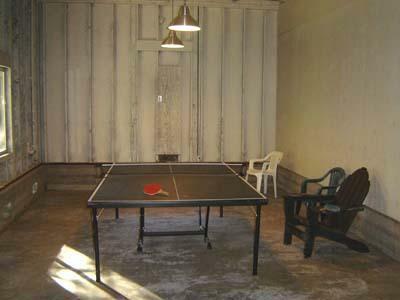 Off the patio is a game room with a pool table and a ping pong table. 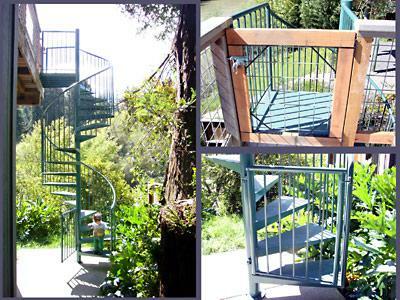 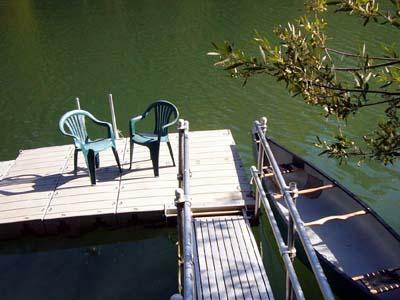 A stairway leads down to a private deep water river dock with a canoe and three kayaks (2 singles and one double). 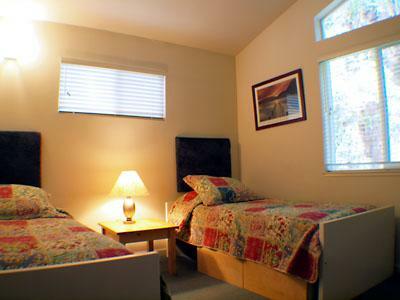 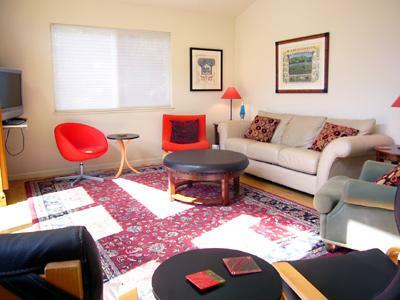 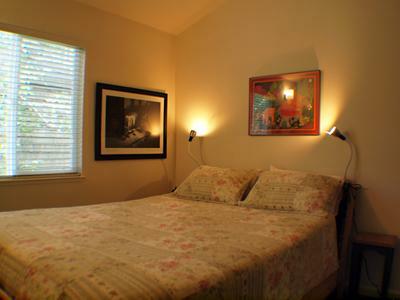 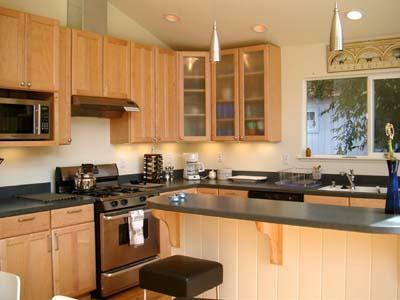 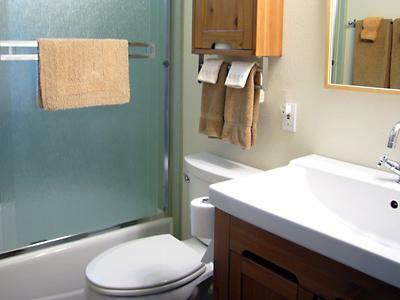 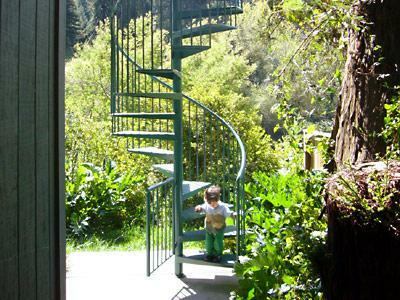 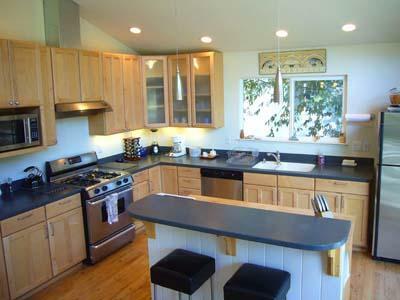 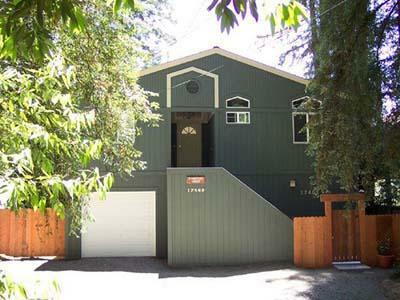 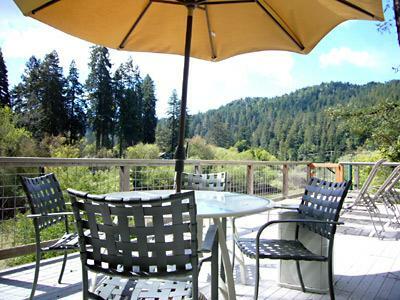 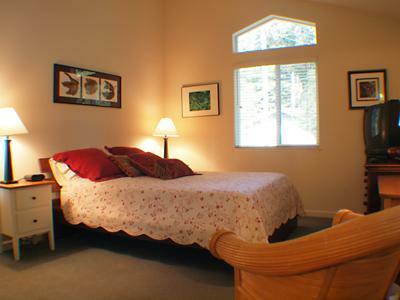 Riverside Lodge is located approximately 1 mile from downtown Guerneville. 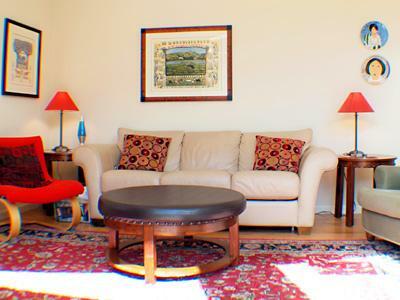 The home is within walking distance to a local neighborhood beach, a 5 minute drive to Northwood Golf Course and only a short drive to the Sonoma Coast, Bodega Bay and Jenner. 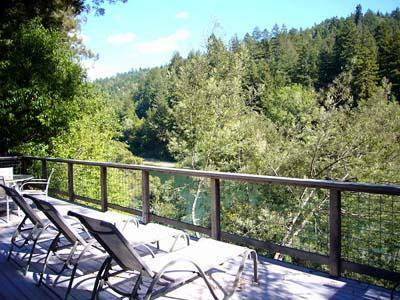 DOCK AND BOATS: Riverside Lodge has 2 sit-on-top single kayaks, one double kayak and one canoe. 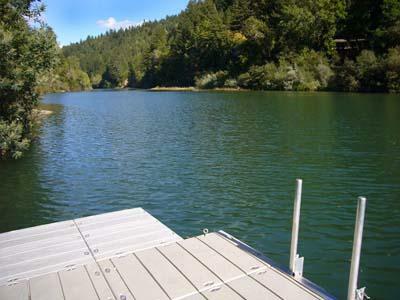 Boats are available mid-June through September, exact dates dependent on whwen the summer dams are put in and taken out. 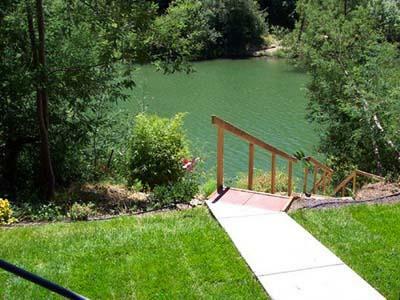 Although the stairway and dock are in place year-round, the dock and/or river may not be accessible during off-season months when the water level fuctuates.